Samsung has been extremely keen to tell the world that the “next big thing is here“, but they haven’t exactly been forthcoming with the amount of internal storage that will be available to consumers when they get their hands on the latest in the Galaxy S range. Initial reports coming out of the Galaxy S5 event at this year’s Mobile World Congress (MWC) in Barcelona is suggesting that almost 50% of the S5’s storage capacity is taken up by Samsung’s pre-installed apps. 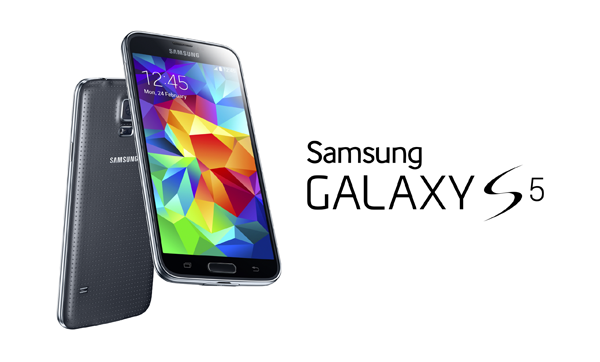 A number of independent reports from various media outlets have managed to confirm that the stock Galaxy S5 ROM is slightly larger than the firmware installed on its predecessor. The official demonstration during the company’s Mobile World Congress event deviated away from heavily showcasing Samsung’s own TouchWiz apps that ship pre-installed on the device. It seems likely that the Galaxy S5 will ship with less “bloatware” than what we’ve seen installed on previous models, however, the increased ROM size and the fact that the base model is still sitting at 16GB means that a large subset of consumers will find themselves with approximately 8GB of storage for their own files. Samsung’s decision to ship the Galaxy Note 3 with a minimum 32GB storage capacity provided us with a glimmer of hope that future flagship devices would follow that trend. That obviously isn’t the case with the Galaxy S5 and it seems like the company’s loyal customers will be the ones to ultimately pay the price. A report from Android Central suggests that the device over at MWC offered only 7.86GB of available storage to the user. 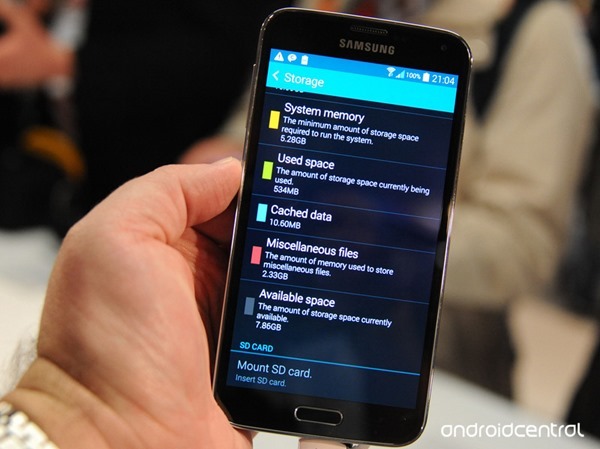 The previous Galaxy S4 model wasn’t fantastic, but it did offer approximately 9GB of available capacity to users. Those looking to purchase the Galaxy S5 when it becomes available will be able to take some solace from that fact that the phone ships with a microSD card slot. Individuals who require a little of additional space for files, music, photographs or video based media will be able to expand the storage capabilities by up to to 64GB. If you’re looking to get in on the S5 action; are you happy to pay additional to get a usable amount of space?